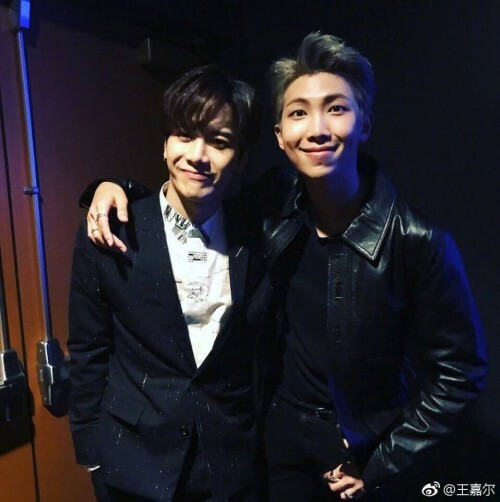 BTS member RM and GOT7's Jackson had a surprise meeting at the American Music Awards (AMA). On November 20, Jackson revealed a picture taken with BTS' RM on his Weibo. In the picture, RM and Jackson are smiling brightly, enjoying the ceremony. The two have put their arms around each other's shoulders, showing off their friendship. Meanwhile, BTS performed "DNA" at the music awards.